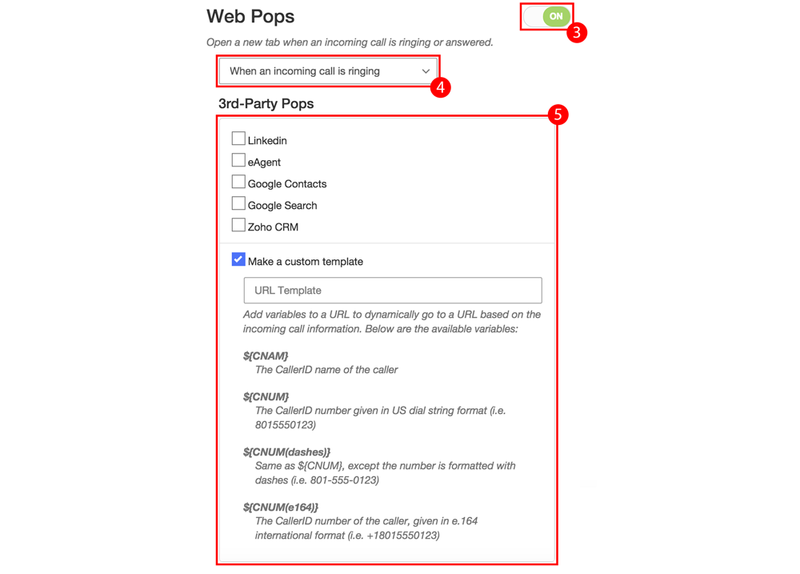 When enabled, Web Pops opens a webpage when an incoming call is received. 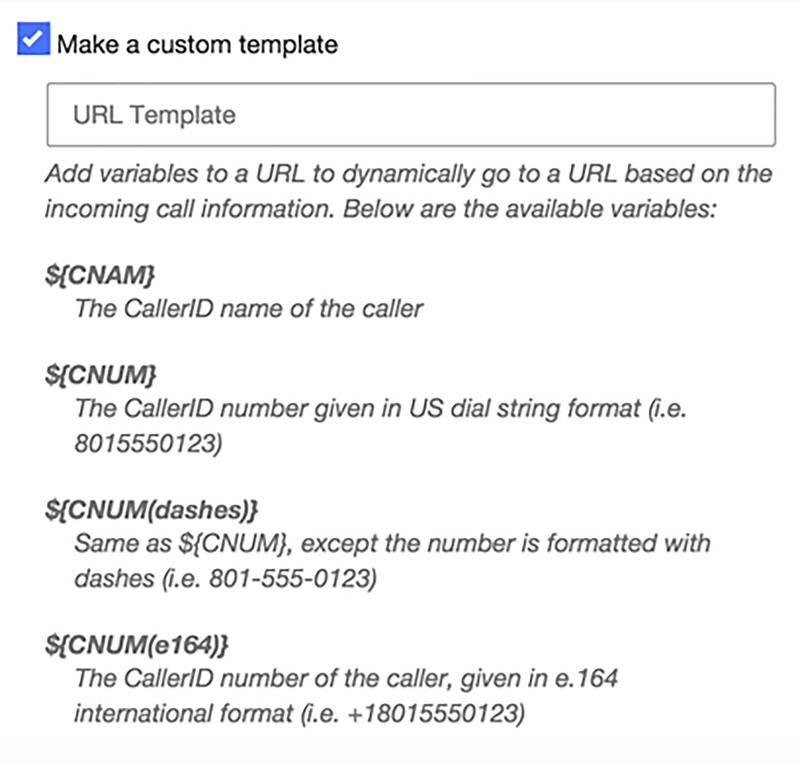 You can set up customized URL Templates to automatically perform a CRM search, social media search, etc. or general Google Search on the caller's name or phone number. Chrome must be opened before the incoming call is received for Web Pops to function. Select when the web pop should occur. Choose the desired 3rd Party Pops from the provided list and/or Make a custom template using variables (you can select more than one). Copy and paste https://www.google.com/webhp?#= as the URL Template. Enter one of the following variables at the end of the URL entered above.